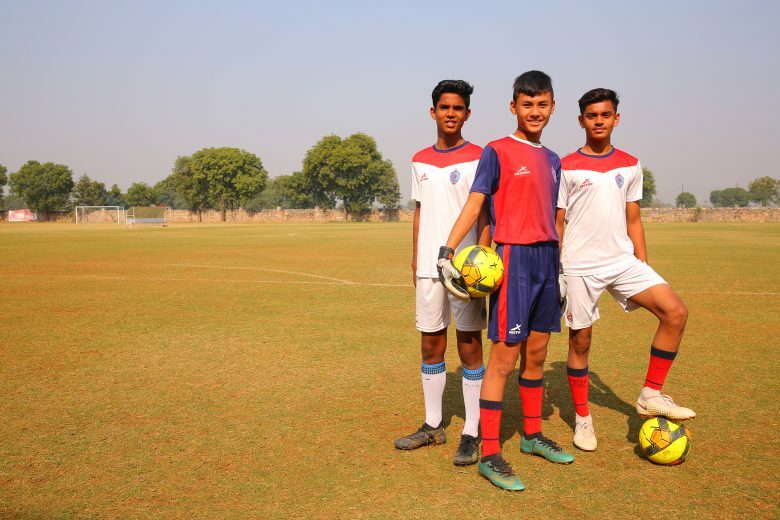 BBFS will soon be conducting phase two of a two-month long country-wide trial to identify players between the ages of 10 to 15 years, who will be given a chance to join the 2019-20 batch of its residential academy – which is run in partnership with Vedas International School in Sohna (Gurgaon). Through the residential academy program, BBFS aims to develop players for national-level competitions such as Subroto Cup, AIFF Youth Leagues (U13 and U15 championships), AIFF – Open Nationals and School Nationals, and help them become professional players who can further go on to sign for professional football clubs from the I-league, ISL and clubs from abroad. Through this trial, BBFS shall also select talented young players coming from the economically weaker section in form of 50% or 100% scholarship funded by the Indian Football Foundation (www.indianfootballfoundation.org) – a sister concern of BBFS. BBFS currently supports 16 such scholars identified through trials conducted in over 17 locations across India earlier in 2018. BBFS aims to provide a platform to nurture talent within grassroots & youth football to both players and coaches through in-house training & development programs designed & executed by qualified Indian football coaches and instructors in consultation with top European instructors. 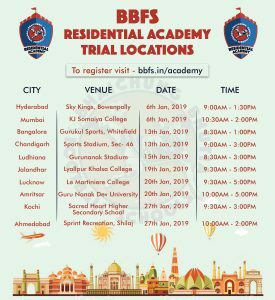 BBFS is a 4-star academy by the All India Football Federation (the highest among all football academies in India) under the academy accreditation process and participates in all (U13, U15 & U18) AIFF Youth Leagues. In a short span of 8 years, BBFS has successfully helped its trainees to break into the professional ranks and has produced 6 international players in the U16, U17 and U19 age groups, 10 professional players playing the ISL/ I-league and over 160 national-level players till date.